Ride-sharing services like Uber and Lyft could be coming soon to B.C., after 81 per cent of delegates at the B.C. 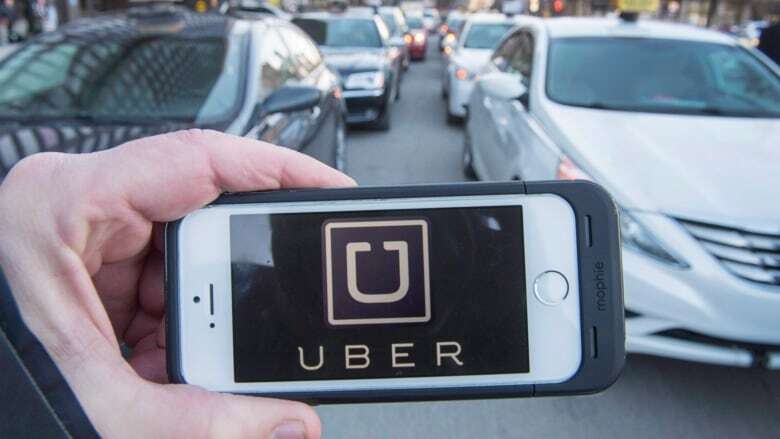 Liberal convention this past weekend voted in support of creating ride-sharing legislation. It may only be a matter of months before British Columbians know whether ride-sharing services such as Uber and Lyft will be allowed in the province. Minister of Community, Sport and Cultural Development Peter Fassbender told host Gloria Macarenko on CBC's The Early Edition the province's extensive consultation on ride-sharing shows support for the services. "Consumers have told us clearly they want more choice, they want more flexibility," he said. "They feel like at times they are underserved and so we feel like it's important that we look at what that might mean for them." Nearly 81 per cent of delegates at this weekend's B.C. Liberal convention supported the creation of ride-sharing legislation. This pro-ride share stance is in opposition to Vancouver's position at the moment. The city has resisted Uber for years, recently putting a moratorium on new taxis and Uber until Oct. 2017. The city has expressed concerns about the safety of consumers using ride-sharing services as well as concerns about protecting the local taxi industry. To safety concerns, Fassbender said legislation would make sure consumers are protected. "We are concerned," he said. "[We're] ensuring that we have a fair and level playing field for the existing industry as well." He suggested drivers under a ride-sharing scheme would be subject to similar conditions as taxi drivers — like criminal record checks and insurance. He said he and Minister of Transportation, Todd Stone, are now sifting through legislation to see what changes will have to be made. "I'm not going to pre-suppose the steps, but I think the public in this market and companies like Uber and Lyft and the taxi companies are going to know clearly where our province is going to go before the election," he said. B.C. 's provincial election is May 9, 2017. UBC Dialogue Series: Why has Vancouver been so slow to join the sharing economy? Uber: should it stay or should it go? Are the B.C. Liberals planning to boost Uber, Airbnb and the sharing economy?